“Pixie” delights those around her with her sense of wonder and her love of beauty in the world. 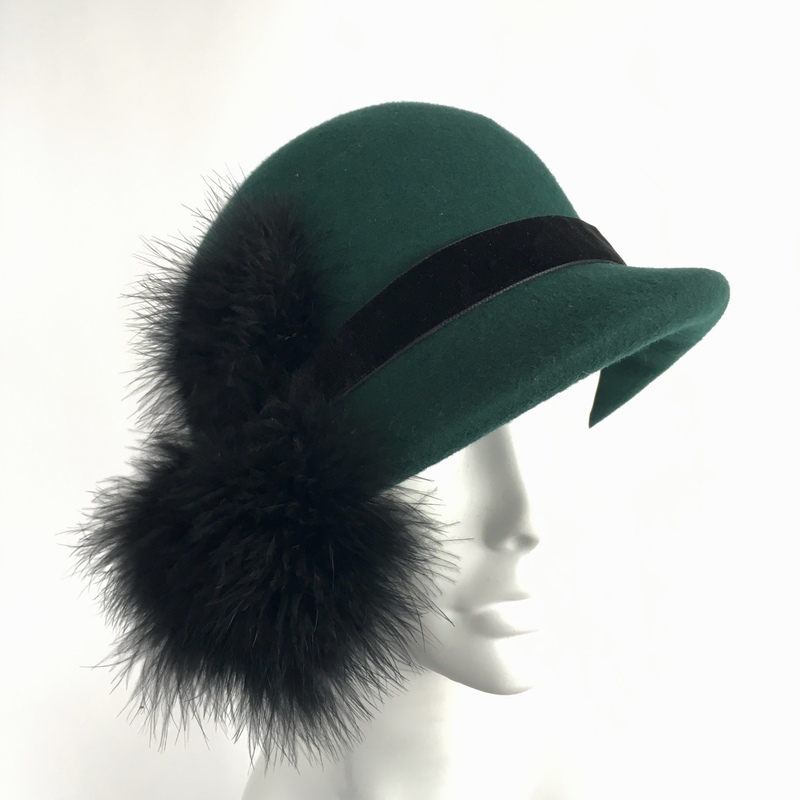 The 1920’s cloche is trimmed with black velvet and black downy feathers cascading down the side. Classic in shape, it is rich and elegant, while delightfully whimsical in trim.